Are you looking for quality dog waste bags or dog poop bags at cheapest price? Don’t rush anywhere, Elka Imports is the right place for you. 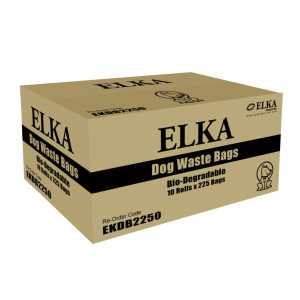 Elka Imports offer super strong, degradable dog waste bags or dog poop bags that are easy to unfold, separate and open. Their tie-up handles to ensure that no waste leaks out of the bags and makes it easy to carry them around. The dog waste bags are used by major councils in public parks and garden.